Angle changing is controlled by coder. The foot-switch with multiple-function:automatic start,emergency stop and resuming,The safety is high. Suitable materials:Steel pipe,Stainless steel pipe,copper pipe,aluminum pipe,iron and others. Die clamping on the machine will be through Hydraulic Cylinders. 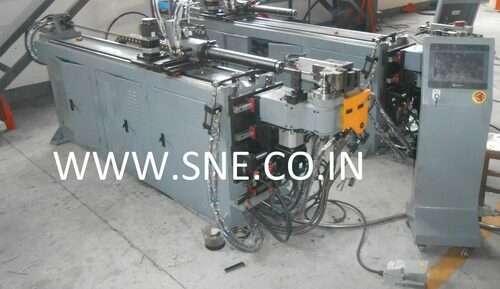 Bending Axis can be powered by Hydraulic Cylinder or Servo Motor (As a option). Touch Screen PLC is usen in our all Pipe Bending Machines. Push, Turn and Bending all options are can be customized from the touch screen. Slow returning core, boosted by barrow, improving the appearance of the angle. The whole operation is in the computer, simple, quick and correct. Single-step debugging function- a careful observes on the deformation of the pipe material during the trail manufacture of dies. 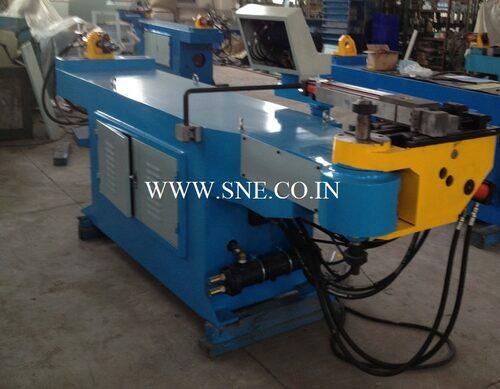 Remark: The Max length of mandrel of pipe bending machine can according to customers requirement.